Alan Craig’s always been a bit mad, but if he thinks a party led by a multi-millionaire, public school-educated ex-city trader who has spent the past ten years living high on the hog in Brussels at the taxpayers’ expense is going to smash the Establishment and bring down the metropolitan political elite he is utterly delusional. And I wonder how he squares his ‘Christianity’ with being a member of a party that wants to cut taxes for the very rich, while increasing taxes on the poor; destroy human rights protections by leaving the ECHR and repealing the Human Rights Act; and for us to turn our backs on the poorest, most vulnerable and most needy by rejecting asylum seekers and axing foreign aid? But maybe Alan’s not really that much of a Christian at all. Just as Nigel Farage is a bigot who dresses his nasty prejudices up as ‘common sense’, Craig dresses his up in scripture and calls them religious convictions. 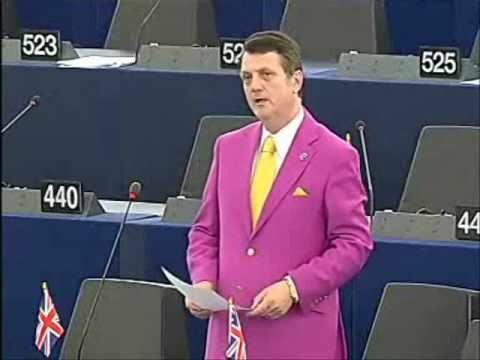 He and UKIP are a marriage made in heaven – but not a gay marriage. Obviously.